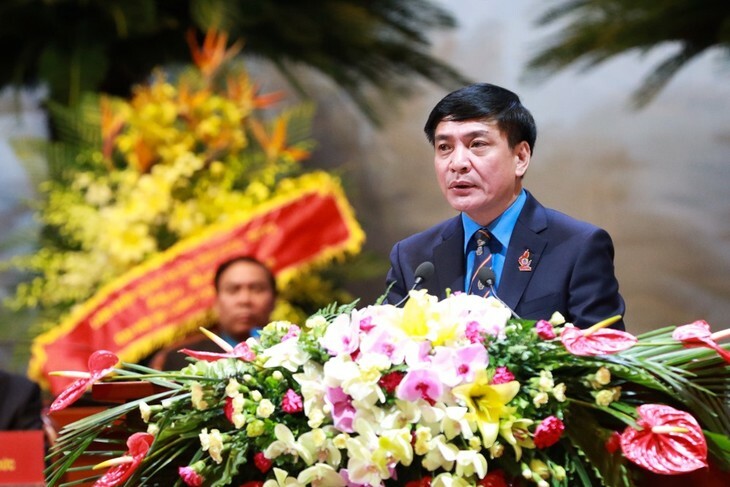 (VOVWORLD) - The 12th Congress of the Vietnam Trade Union which ended in Hanoi on Wednesday set key tasks and objectives for the next term, as well as solutions, targets, and breakthroughs. Bui Van Cuong, President of the 12th tenure Executive Committee of the Vietnam General Confederation of Labor told a press conference the same day that the Union is working with the government to enhance national competitiveness and sustainable development. Mr. Cuong said the Confederation will amend its rules to ensure representation in lawsuits, launch welfare programs for Union members, and improve benefits for its members.